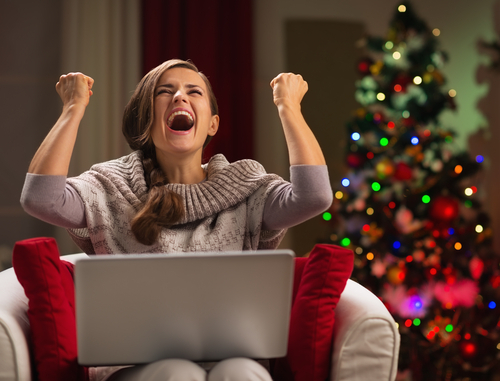 An average of 20% in increased sales was enjoyed by a number of online retailers over the past holiday season, and for businesses who have seen the true impacts of the economical turns, this is news they were more than happy to hear. Online retailers attribute much of this success and growth to the implementation of text marketing. Some businesses were even thrilled to see even more percentages of increased sales. How were so many retailers able to grow their sales this holiday season? It is all thanks to text marketing. Online retailers small and large put video and text marketing to work from Black Friday up until New Year’s, offering customers some truly exceptional deals that prevented them from being unable to say no to the incredible offers. Coupons, promotions and freebies were all made available to customers, with their sweetness only intensified thanks to the holiday season. Businesses know that customers are always on the lookout for a good deal. And, more than 65% of the population shops on the web. Why not give them what they want and then some? Text marketing does just this. Text marketing, sometimes called SMS marketing, really works. Customers enjoy contact via their mobile device, and with 98% retrieval rates for all messages sent, businesses are almost guaranteed their offer is being seen. Text marketing enables personal interaction with customers on a wide variety of angles with irresistible offers they cannot refuse. The increase in smartphone sales has also helped with the increase in mobile marketing popularity. Customers who want to shop online can easily retrieve the message that has been sent and instantly assess a mobile site to take advantage of that offer. It is during the holiday season that wallets are opened wide and hearts are joyous and generous as families far and wide aim to fill all of their holiday lists. Thus , text marketing during the holidays only makes sense. You quickly reach customers (the average message is read in less than 5 minutes) and give them an immediate can’t refuse offer. • There was an increase in last-minute rush orders by 12%. In fact, UPS, one of the largest transportation services in the US, had such an influx of increased last minute sales many of their last minute orders were delayed. Among the best campaigns for the holiday seasons, Coca-Cola had one of the best. Their ’12 Days of Christmas’ text program allowed customers to type in a code via their mobile device that would unlock a special offer. Those offers included coupons for 12 pack Coke products, gift cards to popular stores like Home Depot and Nike and more. This was a successful campaign that customers loved. Fisher Price scored big points with a $10 coupon sent to those who texted a number to their short code. This coupon was sent via their mobile and signed the reader up for mobile messages from FP. There was no minimum purchase required. Toys R’ Us had the very same promotion, and again the results were phenomenal as customers enjoyed some awesome discounts in exchange for their mobile number. Many other businesses participated in text marketing during the holidays, and there isn’t a question they enjoyed what it brought their way. Next year the numbers will only get higher. Will your online business be a part of that success?